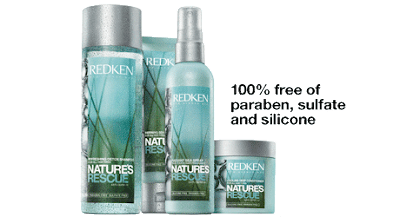 Redken is introducing Nature’s Rescue, a new collection of paraben-free, sulfate-free and silicone-free haircare essentials, with plant and marine extracts, that remove impurities and buildup while helping nourish hair. Formulas with water-fresh fragrances, cooling sensations and ocean-inspired textures provide the perfect balance of moisture. Suitable for all hair types. Alternate with your regular haircare regimen or use daily to detox, replenish and experience an instant ocean escape!